No matter the care and lifestyle, everyone’s teeth eventually show the wear and tear associated with injury, diet, habits and just daily life. Don’t resign yourself to less than perfect, healthy teeth just because of wear and tear or daily life. Reclaim your great looking smile, comfort while chewing foods you enjoy, and feel fabulous again thanks to restorative dentistry by Dr. Rude. With a variety of treatment options, delight in a beautifully crafted and natural smile perfectly suited just for you. Your teeth undergo a tremendous amount of stress during your lifetime. Teeth may show this wear in a variety of ways, including discoloration, chipping and cracking. Crowns restore your teeth and smile to look brilliant once again. Porcelain crowns can be shaded to match your natural teeth. After some tooth preparation, crowns are specifically fitted to restore functionality and enhance the appearance of your smile. If you have pain when chewing or temperature sensitivity, ask Dr. Rude if crowns are for you. Missing teeth can seriously impact the rest of your smile and your confidence. You begin to chew differently, feel mouth pain and find additional gaps and spaces as your remaining teeth work to compensate for your smile’s loss. Don’t settle for a smile that continues to deteriorate. Solve the problem and regain your smile’s vibrancy with a porcelain bridge. A porcelain bridge, custom designed by Dr. Rude, keeps your smile aligned and your bite functional. It flawlessly matches your existing teeth, showing the world no signs of a restoration at all. Bridges are anchored to existing teeth or crowns on either side of the missing tooth. They provide a long-term restorative solution for your damaged smile. If you have one or more missing teeth, dental implants can be your smile solution. Missing a tooth can cause pain, embarrassment and functional problems with your smile. You may notice that your surrounding teeth shift to compensate for the missing tooth and you may have difficulty chewing or speaking. In addition to the functional problems a missing tooth or teeth can cause, you may notice some aesthetic changes as well. When the surrounding teeth shift to fill the space of the missing tooth your face shape can change as well. Over time the problem only worsens. Be proud of your full, natural looking smile once again! A dental implant is one of the most permanent forms of restorative dentistry and can restore a single tooth or an entire set of teeth. Simply a replacement “tooth root”, dental implants involve the placement of a surgical grade titanium post by one of Dr. Rude’s trusted specialists. As the post bonds, it forms a sound foundation to attach your custom crown, bridge, or denture. Feel confident knowing your dental implants are secured and permanent, providing you a smile solution you can count on. Make your smile beautiful and functional; call us today if you have questions about dental implants. In the past when a tooth was damaged by decay the only option was to restore the tooth with a silver amalgam filling. Today we can place a tooth colored bonded restoration that will not only restore the tooth in an esthetic way it will also strengthen the tooth and make it more resistant to fracture in the future. Enjoy a natural looking way to restore your smile to its youthful appearance and function. Let a partial denture restore gaps in your smile due to your missing teeth that cannot be corrected by a bridge. Your partial denture will be removable and made from a synthetic material supported by lightweight metal that mimics your gum tissue and teeth, giving you a beautiful new smile. The partial denture preserves the integrity of your existing teeth by preventing them from shifting and tilting in towards the gaps created by your missing teeth. Inlays and onlays are similar to tooth colored fillings, but provide slightly more support. While inlays lie completely within the cusps of the tooth’s chewing surface, onlays (also called partial crowns) are more extensive and cover one or more cusps. With proper dental hygiene, inlays and onlays can last much longer than traditional fillings. Damage to the nerve tissue inside of a tooth sometimes requires a root canal procedure. 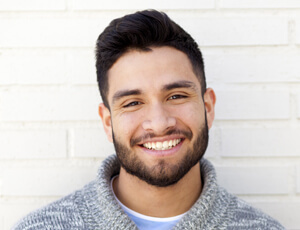 Despite the tales you may have heard regarding the procedure, most root canals are minimally uncomfortable, especially compared to the pain and discomfort you may be feeling before the procedure. Dr. Rude takes advantage of advances in technology and dental techniques that make root canal procedures more effective while taking less time. A root canal involves removing the soft tissue within the tooth – the pulp – when it has become infected and inflamed. Dr. Rude gently removes the infected tissue out of the root canals of the tooth (this is where the procedure gets its name) and fills the void with an inert material. The procedure is completed with the placement of a filling or in some cases, a crown. Dr. Rude and his team make use of the latest technological advances in dental equipment and techniques, ensuring you are satisfied with your visit. Not only will this first assessment help us get to know you better, it will also allow the team to get a complete picture of your dental and overall health. Helping to make your dental care financially comfortable and affordable is important and we proudly offer a variety of options.